Carl Grouwet (* 20 Juni 1965 in Mechelen, Belgium) has over 25 years of experience in the management of museums, operas and festivals. 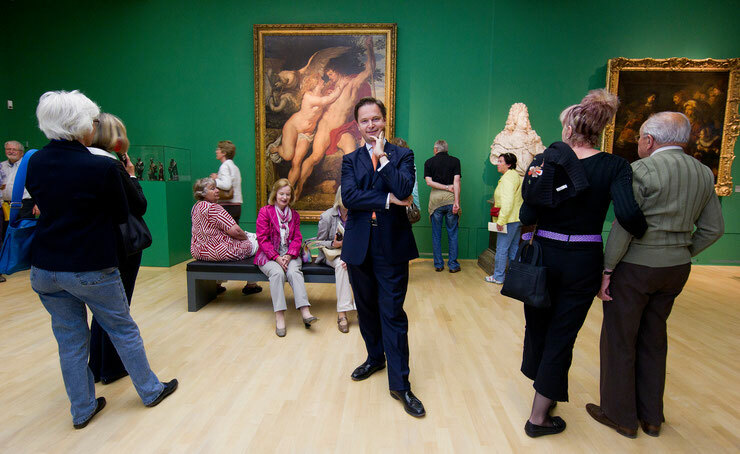 He advises museums and galleries in Belgium and Germany on marketing, finances and organizational strategy. He has been commercial director of museums in Berlin, Düsseldorf and Dessau. As general manager of the classical music publisher C.F. Peters, Frankfurt he modernized this traditional company. He has worked as a personal assistant and press officer at the Salzburger Festpiele, the Brussels Opera La Monnaie and the Oper Frankfurt. He has an excellent record in international relationship management in coproducing artshows, multi-lingual with strong experience of cross-ciltural cooperation. Results orientated, Carl Grouwet is a strong team player and creative problem solver with emotional intelligence and passion for people. Carl Grouwet is since 2009 in a civil partnership with historian and journalist Gustav Seibt.